Established in 2002, the International Cocoa Initiative (ICI) is the leading organisation promoting child protection in cocoa-growing communities. ICI works with the cocoa industry, civil society and national governments in cocoa-producing countries to ensure a better future for children and contribute to the elimination of child labour. 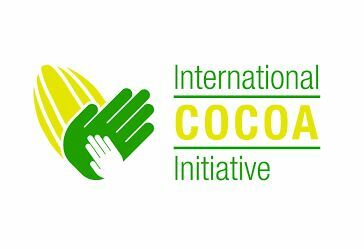 The International Cocoa Initiative (ICI) (www.cocoainitiative.org) seeks a Driver to support its operations in Ghana. Under the supervision of the ICI Admin. Assistant, the Office Driver will be responsible for facilitating all travels to support projects and implementation of projects. • It is the Driver’s responsibility to ensure the safety of all passengers in his vehicle on any trip. • Drive ICI Ghana team and visitors on field missions within Ghana safely. • Run official errands for office. • Complete vehicle log book whenever the vehicle is moved. • Take records of number of field missions and meetings driving ICI staff. • Ensure the renewal of vehicle insurance by sending alerts to Admin. Assist. • Ensuring the replacement of necessaries like fire extinguisher, triangle, first aid-box, battery cable, spare tyre, etc.) in the Vehicle. • Applicant should hold at least a Basic Education Certificate Examination (BECE) qualification. • A Senior High School (SHS or SSS) qualification is preferable. • He should possess a minimum of 3 years’ experience in long-journey driving. [email protected] Applications must be received by close of day 7th of May 2018. • NB: ICI has zero-tolerance for all forms of child neglect, abuse (sexual, physical, emotional, and psychological) and exploitation (sexual and commercial). • ICI commits to put the best interest of the child first, and at the centre of its work, irrespective of a child’s ability, ethnicity, faith, gender, sexuality and culture.